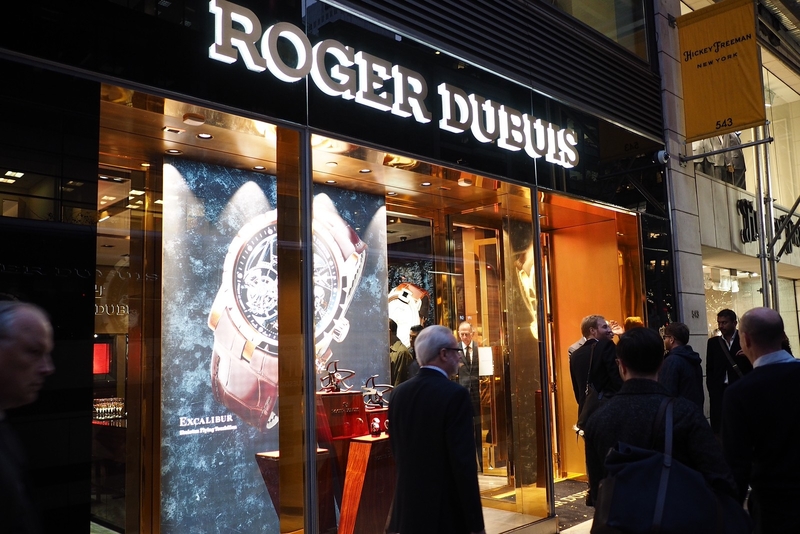 At Watches & Wonders 2015, in Hong Kong, Roger Dubuis debuted a pocket watch based on their ultra-complicated in-house RD101 movement powers the Excalibur Quatuor, which was introduced at SIHH in 2013. 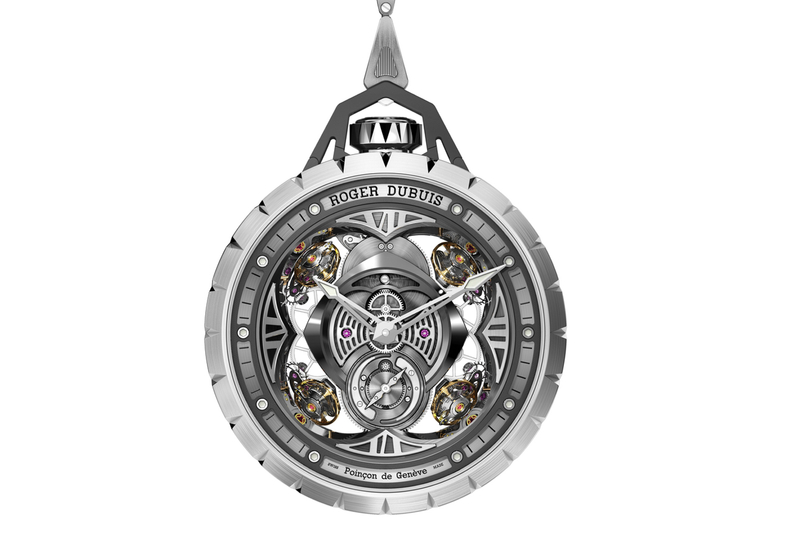 Housed inside a 60 mm titanium case, and attached to a titanium chain, the Roger Dubuis Excalibur Spider Pocket Time is a contemporary version of the pocket watch, to say the least. 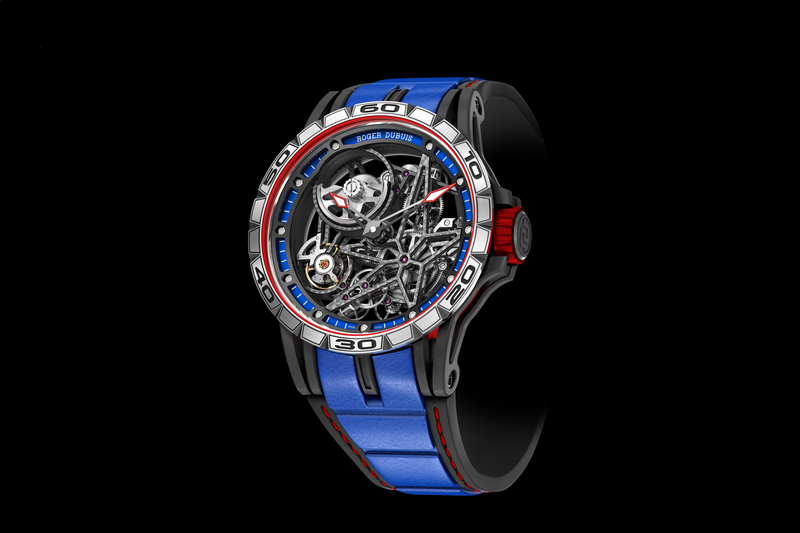 According to the manufacture, “The most immediately noticeable feature of this movement, vividly highlighted here in the Excalibur Spider Pocket Time Instrument, is, of course, its four sprung balances. Working in pairs to provide immediate compensation for the rate variations caused by the changes in position, this efficient foursome enables the movement to operate at the stunning frequency of 16 Hz and thus ensures an exceptional degree of precision. 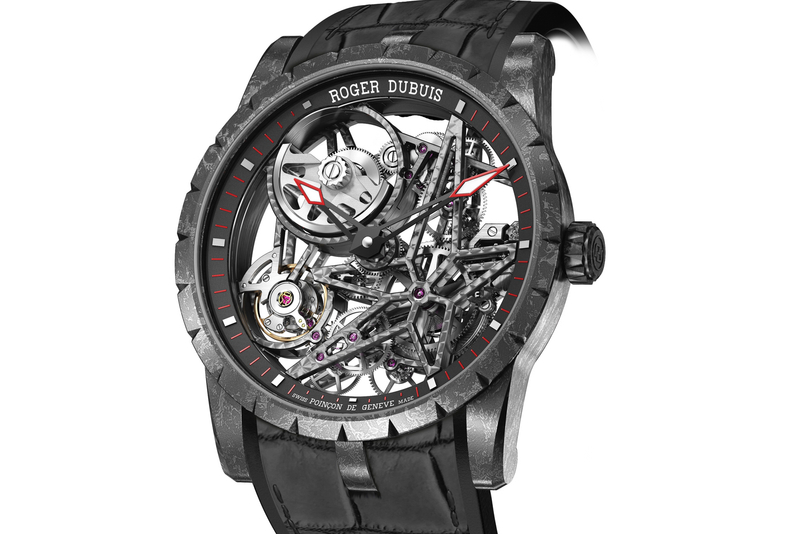 The dial of the skeletonized pocket watch has a charcoal interior flange, a silver exterior flange with black minute-circle, Roger Dubuis and Poinçon de Genève transfers, rhodium-plated power-reserve indicator at 6 o’clock, white gold skeleton hands with white SLN, and rhodium-plated appliques. Water-resistance is 30 meters. Presented with a unique hanging stand so it can be used as a desk clock. Limited to 28 pieces.